Here are a few patterns if you are looking for something quick for the upcoming 4th of July. A couple of years ago, I got some Lorna's Laces Shepherd Sock Yarn called Liberty. I never made the socks, just tucked it away with my sock yarn stash for a rainy day. That rainy day hasn't come around yet, and I know that I would never be able to get a pair of socks finished in time this year, but maybe next year. This is such a pretty yarn though, I can't wait to use it! 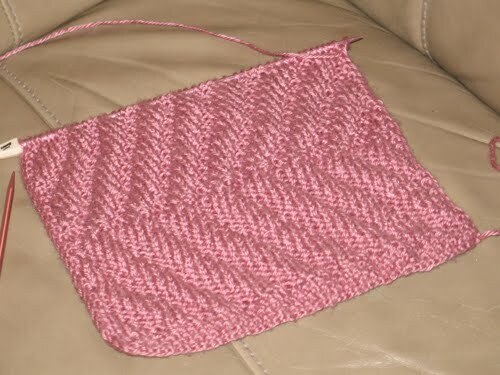 I actually found a pattern that uses this yarn at Sock Knitters, by Linda Walsh. If you are interested, you can get it HERE. You may have noticed a few changes here on the blog. I've added some more links to free patterns, along with links to some blogs and newsletters. Newsletters and blogs are a nice thing to check out - often there are some free patterns, special offers and the like. The side bar is getting a bit crowded, so I've added some new tabs, located at the top of the blog. There you can find links to the websites to some knitting magazines. From there you can subscribe, order back issues, find pattern errata, etc. (Except for Debbie Bliss. At this time, there is no subscription offered.) 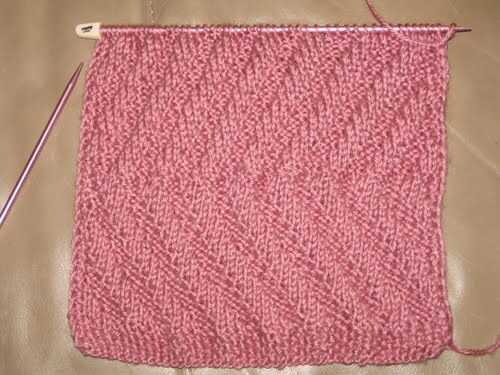 Also, there is a page for the Mystery Knitting Projects. This is strictly for links to the entire pattern once it has been completed. I will still be posting the pattern in parts as I go along, but I thought it a good idea to have a place where the pattern can be downloaded in its entirety; so be sure to check the Mystery Knitting Patterns tab at the top of the blog! 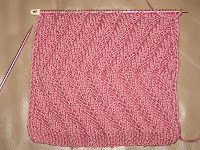 Now, here is a picture of what you should have so far, if you are working on the 2nd Mystery Knitting Project. I hope to have the next pod cast done in the next couple of weeks, comfort permitting. Not only does knitting cause my arms and hands to fall asleep, now my feet and ankles are swelling if I sit too long at the computer. However, the end is in sight, so after baby arrives I expect these issues to go away and I can return to all things knitting! 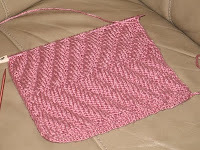 If I am not able to get a show recorded, then the pattern will just be posted here on the blog. And finally, thank you to my fabulous followers who have left comments! Thanks for sticking with me!